USA, 2018. dir. Pierre Morel, 102 mins. It´s been the style these past few years having women play assassins. 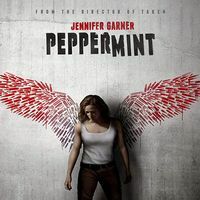 And that´s what Peppermint is about: a revenge story centering on a young mother, Riley North (Jennifer Garner) who finds herself with nothing to lose, and is now going to take from her enemies the very life they stole from her. I like vigilante movies, just like the majority of viewers. In fact, in one scene of the movie, the FBI points out to tweets and instagrams showing how they love Riley for getting rid of the bad elements of society. When North's husband and daughter are killed in a drive-by shooting on her daughter's birthday by members of a cartel and the killers walk free owing to corrupt officials on the cartel's payroll, she takes matters into her own hands and seeks vigilante justice against those who destroyed her life. Jennifer Garner is superb as the vigilante. I´ve seen her in action movies and she´s good as an action star. The film reflects many vigilante films, particularly Death Wish which originally starred Charles Bronson and had a remake with Bruce Willis. 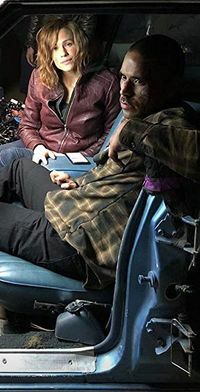 It´s good to have a female playing a vigilante for a change, and I´m almost certain, from the ending of the movie, just like Death Wish, that there will be a Peppermint 2 sequel. The title is the favourite ice cream flavour of Riley´s daughter who was enjoying her birthday when the tragedy struck..